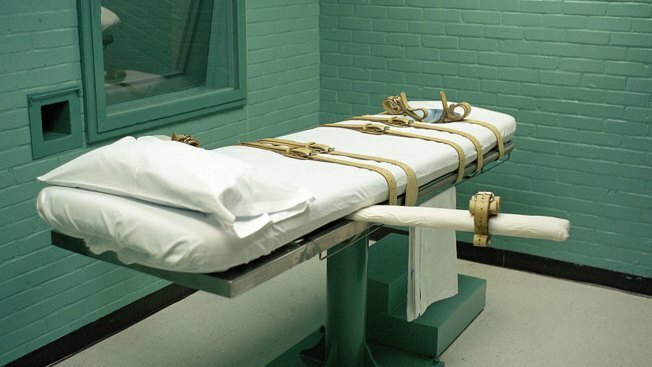 Texas prisons will no longer allow clergy in the death chamber after the U.S. Supreme Court blocked the scheduled execution of a man who argued his religious freedom would be violated if his Buddhist spiritual adviser couldn't accompany him. Effective immediately, the Texas Department of Criminal Justice will only permit prison security staff into the death chamber, a spokesman said Wednesday. The policy change comes in response to the high court's ruling staying the execution of Patrick Murphy, a member of the "Texas 7" gang of escaped prisoners. Texas previously allowed state-employed clergy to accompany inmates into the execution chamber, but its prison staff included only Christian and Muslim clerics. In light of this policy, the Supreme Court ruled Thursday that Texas couldn't move forward with Murphy's punishment unless his Buddhist adviser or another Buddhist reverend of the state's choosing accompanying him. "The government may not discriminate against religion generally or against particular religious denominations," the court's newest justice, Brett Kavanaugh, wrote in a concurring opinion. Murphy's attorneys told the high court that executing the 57-year-old without his spiritual adviser in the room would violate his First Amendment right to freedom of religion. He became a Buddhist almost a decade ago while incarcerated. One of those lawyers, David Dow, said the policy change does not address their full argument and mistakes the main thrust of the court's decision. Kristin Houle, executive director of the Texas Coalition to Abolish the Death Penalty, called the new policy "cruel and unusual," and urged the department to reconsider. Prison chaplains will still be able observe executions from a witness room and meet with inmates on death row beforehand, said Texas Department of Criminal Justice spokesman Jeremy Desel. He declined to elaborate on the reasoning behind the policy change.